Personalized and Custom Keychains, Key Tags, and Button-Style Key Fobs at WoodenUrecover.com! Upload your art file (if available). We are always happy to provide fast, affordable, and reliable customization of our quality keychains and key tags for our clients both in and outside of the recovery industry! We regularly supply individuals, groups, conventions, roundups, special events, and businesses with customized keychains. We would love to work with you on your special project, too! Please tell us as much as possible about your special key chain project in the text field above. What would you like your key tag to say? Any special logos, graphics, or fonts How many custom keychains do you think you will be needing? 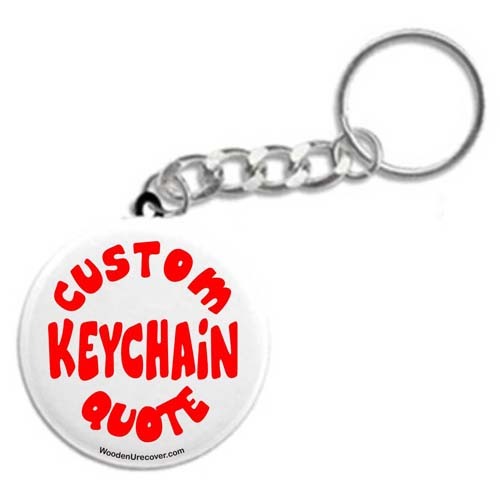 When will you need to take delivery of your custom key-chains? We can even use with your artwork! Just upload a copy of your art file using the option above. For best results, please upload a vector graphic file of 300 DPI or greater. Thank you for allowing us the opportunity to work with you on this special project!